The ruling clique in Eritrea has time and again rung out its trademark propaganda that it favors the remote villages more than the urban communities. This way it tries to rationalize whatever happens to the urban areas. And that may be one reason the PFDJ seems to feel no scruples in having turned a capital city into a rustic setting with constant brownouts or blackouts and decaying infrastructure. Scanning the ‘Rural’ and ‘Urban’ dichotomy of the PFDJ: In the first place, to simply ignore the urban parts in the name of advancing the cause of the rural poor doesn’t bode well for the whole country. The urban areas are home to hundreds of thousands of souls and if left unattended become breeding grounds for intractable social crises instead of being hot spots of livelihoods to their residents and many others from the countryside and suburban localities. Second, one way of judging a government’s competence should be its ability to create unrestricted atmosphere for the betterment of all sections of society. Third, in the case of the PFDJ, its commitment to the rural poor has been more of a lip service and sloganeering. The proof? Many villagers today, far from being food producers as purported by the PFDJ, flock to the cities in search of food. The street corners in Asmara have become sanctuaries to many of them. Another proof? Even the president in his long-winded interview of May 2012 made a confession of it and alongside of the degeneration of life in the urban centers. In this interview (posted in Hadas Ertra of May 22, 2012 on page 8, third column), he had the following to say of his personal impression (and by corollary of how he governs the nation). He said, “When I privately mull over it (the issue of poor and rich), in this country there are people in the remote rural areas who walk with cracks in the soles of their feet as they cannot even afford to ride donkeys while some people in the cities can enjoy sumptuous Mercedes-Benz cars of 2012 make, even of 2015. I am talking about this country (Eritrea). Without looking far off, even in this city (he meant Asmara) we find people who are living in cramped houses.” (Italicized words and translation mine, as the interview was not at the time translated into English in the biweekly Eritrea Profile perhaps because of its extreme absurdity). I am not sure if Mercedes-Benz have already produced models of 2015 and I am yet to see Mercedes-Benz cars of 2012 in the streets of Asmara. But, in passing, let us remind Mr. President that his 26-year old just beginning car-dealer son Abraham is cruising the streets of Asmara in a two million (2,000,000.00) Nakfa Nissan Qashqai with plate number ER-1-24446. Let me digress a little from my subject matter to sift through the president’s words. 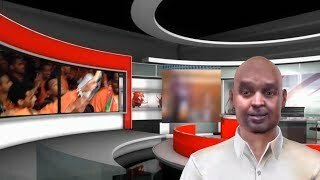 What is Abraham’s father trying to argue in the above interview? Is he admitting, by his own assertion, to the embarrassing gap between the haves and have-nots in Eritrea? Is he trying to implicate the rich for the grinding poverty of the Eritrean poor? Does he want to sound a champion of the poor, while he blurts out he cannot even clothe them with shoes after more than two decades of his one-man rule? Is he betraying the deep-seated animosity he harbors against people of means (and let’s remember that most of the emerging rich in today’s Eritrea are the cut-throat contraband traders that have been hatched by the president’s wayward policies)? Is he insinuating in the middle of an interview the next target group to be dealt a blow? Or something that is most relevant to our present theme: are the president’s words a way of casually addressing the severe housing shortage, the housing conditions that are far from fit and the decline in living standards in Asmara? Anyways, gathering from his own words, the man and his administration are neither for the poor nor for the well-off, neither for the urban nor for the rural. One funny thing to note is that we are talking about a nation of three or four, utmost five million people who can be housed in one city in which case the discussion on and distinction between ‘rural’ and ‘urban’ becomes inconsequential. Where does PFDJ’s aversion to anything that is urban then come from? Is it born out of fear that the urban might spoil the rural causing the latter to seek better living and working conditions? In any case, the cure to the depressing poverty in the rural communities in Eritrea is still urbanizing them. The government since day one should have encouraged the expansion and mushrooming of urban centers which are places of industrial development, job opportunities, and centers of commerce, of production, of technological advances and of refinement, of art and cultural interaction. The Eritrean government should have made the most out of the industrial base the Italians had left long ago. But it chose to sidetrack. In so far as the urban and rural areas are concerned, the government has opted to paralyze the cities and stifle rural people from aspiring for a better life, in so doing locking them up in their age-old rudimentary ways of life. At a time when the world reckons that for the first time in history more than half of its population has moved to the cities and that urbanization has to speed up to welcome the incoming migrants, the mantra by the intellectual airheads of the PFDJ seems to take the country and the people in the exactly opposite direction. That may be why the PFDJ does not mind to see the urban and large population centers such as Asmara deteriorate and get dragged downwards. As the clock ticks, the deterioration is getting all the more horrible and future efforts to reverse it will prove extremely demanding. 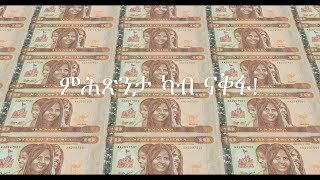 A question for our reflection: in the last twenty one years of PFDJ rule, which place in Eritrea do you think received the most amount of investment and attention in terms of money, human and material resources? Undoubtedly, it must be the military training camp of Sawa. Why? Because of PFDJ’s (particularly the president’s) obsession (as Sawa was his brainchild) with militarizing and enslaving the Eritrean society. Hundreds of millions of US dollars have gone into putting up and sustaining Sawa. Its end-product? More than half a million of conscripts and slave labor. Has the PFDJ built a single urban centre in the last twenty one years? None. The best they can build is a boot camp to bring forth a generation with trademark green fatigues. The Derg in its final years had coined the slogan ‘Hulum Neger Wede Tor Gnbar’ (‘Everything to the War Frontlines’) as it tottered in its war campaign against the EPLF and the TPLF. In what looks to be an inspiration from the Derg books, today’s PFDJ has channeled every resource towards Sawa. Sawa since its creation has eaten up everything in the cash-strapped nation while the capital city and the other towns continue to suffer from breakdown in their physical environment and other social services such as electricity, water, education, medical care, transport, etc. Today the populations in these urban areas count in their thousands and hundreds of thousands and are roughing it out. What will the reality of life look like if these urban centers reach a million or so populations whilst the PFDJ is in power? Heaven forbid. They will turn into slum centers. Planning for the future is the last thing in the minds of the PFDJ idlers. In the meantime, the swelling populations in the capital city and the other towns will continue to suffer from decaying environment and acute socio-economic problems as they are denied the prompt and holistic attention they deserve. towns have become our garrisons). 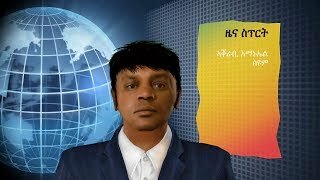 At the time of its composition, the song was probably meant to celebrate the victorious entry of the EPLF forces from the battle fields into towns. But today, from the way Asmara and other historical towns in Eritrea have been made a mess of, the song seems to symbolize the EPLF’s extraordinary knack in converting towns and a capital city into garrisons. Yonus Ibrahim eulogized the Asmara of the 1960s with his song Asmera Ketema. 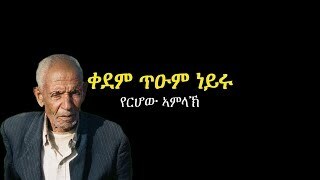 Memhr Asres Tessema nostalgically romanticized the Asmara of the bygone days in his book of poems Asmera: Trgta Nafqot (‘Missing Asmara’ as one Eritrean website has rendered the title). These people and others eulogized and immortalized the Asmara of their days with unforgettable verses. Unfortunately, today is not the time for eulogies. Instead we are in critical need of poets and singers who compose laments and dirges to help us shed tears for a crumbling, dying city. The laments are also meant for our own pitiful situation. By lamenting for Asmara, we will be lamenting for ourselves as well. The city’s ruin is a mirror image of our decaying selves. How Asmara is looking to the naked eye is metaphorically how we are looking in our inner selves. Before PDFJ recklessly neglected the capital city (the whole country for that matter), it first dehumanized our souls and corroded our minds until we became resigned to the We also should lament because the city’s (Asmara’s) soul is bound with ours. For some of us, it is our city of birth; for some it is where we spent our sweet childhood days; for others it happens to be the city of their adolescence, adulthood or family years; still for other Eritreans, although they have not yet set foot on its soil, it is that which they yearn from a distance to see one day. Mass Movement both inside and outside the country. Eritreans should raise their voice against the degeneration of their capital before it is too late. Asmara is only a big demonstration of this dismal state. The same fate is befalling Keren, Dekemhare, Massawa, Agordat and other historical towns in Eritrea. Long ago, thanks to the PFDJ misrule, these towns lost their economic lifeblood and now it is a turn for what is left of their urban makeup. Concerned citizens inside Eritrea can particularly contribute by recording images of the continuing decay of buildings and other forms of infrastructure and adding them to the existing database of photos at Asmarino.com. The photos can include the inside and outside of buildings and people can take photographs, when opportunities arise, of places where they feel at ease whether it is in their neighborhoods, work places or in other places of their choice. Such an exercise will make the discourse up to date and lay bare the disinformation by the PFDJ media. For now, with the photos at hand a blog of today’s Asmara named ‘Cry my beloved City’ is being set up by Asmarino.com. Protest against any attempts by the government to repair the capital city on the spur of the moment. In keeping with its ‘last minute mentality’, the government may rush into doing repairs on Asmara to salvage some credit for itself. However, such repairs lack the requisite planning, thoroughness and involvement of preservation experts. Repairing without prior preparation is as disastrous as the lack of action we witness today. Enlightening the population in Asmara with whatever means possible that they are not ordained to rot in unfitting and squalid environment. Many people in Asmara today find themselves stuck in the ruts of chasing daily bread and cannot imagine improved living conditions such as decent housing for themselves. Someone has to tirelessly illuminate the light of true living for them in the midst of the darkness orchestrated by the PFDJ. The advent of another Deg’iat Haregot. Deg'iat Haregot Abay, Asmara’s mayor from 1963 to 1974, is often credited with the orderly development, expansion and exquisiteness of the city during his tenure. True he had his own share of critics. But his name has remained synonymous with Asmara’s glory days. Today, Asmara longs for a man as visionary and industrious as Deg'iat Haregot who dared to fulfill his vision in spite of the colonial powers presiding over him. That UNESCO and other relevant bodies be lobbied (although Asmara has not yet been listed as World Heritage) to take action to save this city under serious threat of losing its historical place as a safe habitat of its residents and as one of the largest ensembles of modernist buildings in the world. This can be most effectively pursued by concerned Eritreans in the diaspora. A final point to Eritreans in the diaspora: the next time you come to find your beloved Asmara, you may meet a different dilapidated city beyond recognition, ready to turn into debris. We will then count it on archaeologists to bring to light this small, but lovely city of ours.